Mary Abbott was born in New York City. Among the early exponents of Abstract Expressionism, Abbott creates powerful oil paintings in which she combines spontaneous, gestural brushwork with a highly creative use of color. Lauded for her energy and vital feeling of immediacy, Abbott’s work reflects her desire to translate sensations into paint. In New York in the early 1940s Mary's early interest in art led her to courses at the Art Students League where she worked with painters such as George Grosz. She lived mainly in New York but spent time in Washington where she studied with Eugene Weiss from the Corcoran Museum School. In the early 1940's Mary also worked as a model and appeared on the covers of Vogue and Harper's Bazaar. In 1948, she met the sculptor David Hare, who introduced her to an experimental school called The Subject of the Artist. Through these associations Abbott moved into the heart of the New York avant-garde. In the early 1950's Mary spent time with her second husband Tom Clyde in the Virgin Islands, where she produced a great deal of work. The two then moved to Southampton, New York where Mary still resides. Back in New York City, Mary became a member of the Artist's Club, where she was one of three female members along with Perle Fine and Elaine de Kooning. she was deeply inspired by Newman and Rothko who, as she recalled, "taught us to draw imagination." 2 She subsequently abandoned her interest in recognizable subject matter and the art of the School of Paris in favor of abstraction. 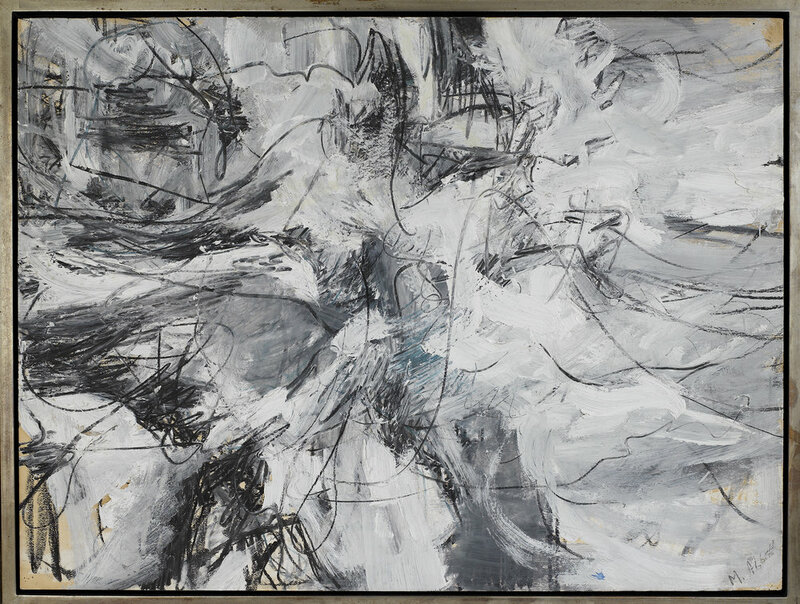 Her concern for intuitive painting was further enhanced in 1948 or 1949, when Abbott met the Abstract Expressionist painter Willem de Kooning, with whom she enjoyed a lengthy personal and professional relationship. In the early 1950's Mary began to exhibit extensively with shows at Kootz, Tibor de Nagy and Tanager. She was also in three of the famous Stable Gallery Annuals.